The book must have been published in the previous calendar year, and can’t be self-promotional. The jury will judge the design based on the book’s interior layout. The book cover falls under a separate category. See previous winners in this category here. Save image files of the book as JPG (3600 x 1536 pixels, RGB, 72 dpi). Include the cover and at least six spreads. These images will appear in the winners’ gallery, if your design is awarded. Upload the images via this site. Please send one sample of the book. Mark it discreetly with your submission code. 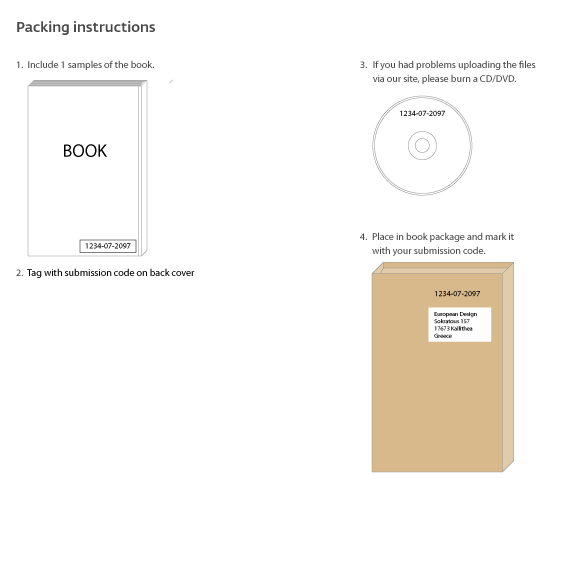 Place the book in an envelope and post it to European Design’s Greek office (to arrive no later than March 8).